I would probably say that March was an ok month. Pretty journeyman-like with Back & Core being so easy, it felt like I took the entire month off. At the same time, I have been nursing my left shoulder and right foot and of late have rededicated myself to helping them both heal. In general I feel pretty good and healthy, but I could really use some help in my cardio area. I have kept from running so due to the right foot, but that can’t be the long term plan here. I will be getting some PT on my right foot, so hopefully I can get it taken care of soon so I can get back to the treadmill at least and then on to the road again. I am also growing a beard. It looks pretty poor, but I am sure I will get the bug to just cut it off one day. That day has not yet come, so I am just enjoying it in the meantime. As for Cheyenne, she continues the workout push and I would say by now that she has bought in to some degree. Won’t give her 100% yet, but she has been doing quite well. – DareBee Exercise-1 (Day 18): “Found Light” – Not too bad. Left shoulder a bit sore – Ck! – Daily Dare (104/624) 100 Palm Strikes – Too easy. Just got up and got it done son! – Check! – Distance: Added 0.00 mi to my total on my way around the World. Rest: I will get 6.75 hours of sleep each night! Ciao! – DareBee Exercise-1 (Day 17): “Found Light” – Not too bad. Left shoulder a bit sore – Ck! – Daily Dare (103/623) 50 Squat Step Ups – This got me going pretty early. Nice leg workout tho. Love it! – Check! – DareBee Exercise-1 (Day 16): “Found Light” – Really nice leg workout. Supplemented by DD squats – Check! – Daily Dare (102/622) 40 Leg Raises – I am just flying through this. Fitness level well above – Check! – Distance: Added 9.20 mi to my total on my way around the World. Rest: I will get 6.75 hours of sleep each night! Ciao! – DareBee Exercise-1 (Day 15): “Found Light” – It was just too easy, I just doubled up most to get id one – Check! – Daily Dare (101/621) 40 Prone Fly Extensions – A bit rough on the shoulder, but that just the way it is – Check! – Distance: Added 11.14 mi to my total on my way around the World. Rest: I will get 6.75 hours of sleep each night! Ciao! – DareBee Exercise-1 (Day 14): “Found Light” – A ton load of jacks. Not too bad – Check! – Daily Dare (100/620) 50 Sitting Twists – Pretty nice and easy. I love the Core! – Check! – Distance: Added9.81 mi to my total on my way around the World. Rest: I will get 6.75 hours of sleep each night! Ciao! – Summary: Got up again and just got it done early. It was admittedly a pretty easy day though. – DareBee Exercise-1 (Day 13): “Found Light” – Not much to this day. I do flutter kicks all day – Check! – Daily Dare (99/619) 60 Sec Side Leg Raise Hold – No problems at all. I gots strong legs now babee – Check! – Distance: Added 9.13 mi to my total on my way around the World. Rest: I will get 6.75 hours of sleep each night! Ciao! – Summary: Got the job done relatively early. Ran up against the clock in getting in my cardio/steps however. – DareBee Exercise-1 (Day 12): “Found Light” – Nice workout for the buns. It was pretty matter of fact – Check! – Daily Dare (98/618) 40 Lunge Step Ups – Not that easy. The right foot is becoming more of an issue now – Check! – Distance: Added 9.40 mi to my total on my way around the World. Rest: I will get 6.75 hours of sleep each night! Ciao! – Summary: Pretty good workout today. Shoulders started off a bit sore, but that has changed. Now I feel pretty good. – DareBee Exercise-1 (Day 11): “Found Light” – This was all legs; it felt pretty easy to get through; no issues – Check! – Daily Dare (97/617) 2 Min Bicep Flex Hold – Another way too easy move. A bit of a shoulder challenge tho – Check! – Distance: Added 11.74 mi to my total on my way around the World. Rest: I will get 6.75 hours of sleep each night! Ciao! – Summary: Ok workout day. Not too much doing. The DB is pretty easy, just a bit challenging on the right foot. – DareBee Exercise-1 (Day 10): “Found Light” – All around ok leg workout day – Check! – Daily Dare (96/616) 30 Knee to Elbow Crunches – Too easy. Love the Core – Check! – Distance: Added 10.13 mi to my total on my way around the World. Rest: I will get 6.75 hours of sleep each night! Ciao! – DareBee Exercise-1 (Day 9): “Found Light” – Got this done pretty early. Really pretty easy – Check! – Daily Dare (96/616) 2 Minute Wall Sit – Really great strength test for the quads. Tough but love it – Check! – Baseline: Good workout. Left shoulder is a bit sensitive today, so I will be watching – Check! – Distance: Added 11.20 mi to my total on my way around the World. Rest: I will get 6.75 hours of sleep each night! Ciao! – DareBee Exercise-1 (Day 8): “Found Light”– Got to this late, but it was pretty easy – Check! – Daily Dare (95/615) 40 Get Ups – Too easy; love the tho – Check! – Baseline: No real issue. Still experiencing a bit of pain, but it feels like it is subsiding – Check! – Distance: Added 11.86 mi to my total on my way around the World. Rest: I will get 6.75 hours of sleep each night! Ciao! – Summary: Good workout. Got it in early and done. – DareBee Exercise-1 (Day 7): “Found Light” – Good support for legs today. A bit hard on the shoulder – Check! – Daily Dare (94/614) 60 Climbers – Pretty good wake up exercise – Check! – Baseline: I thinking of removing this baseline section because I am pretty set in my base – Check! – Distance: Added 9.94 mi to my total on my way around the World. Rest: I will get 6.75 hours of sleep each night! Ciao! – Summary: Nice workout day today. Got everything done pretty much just after midday. 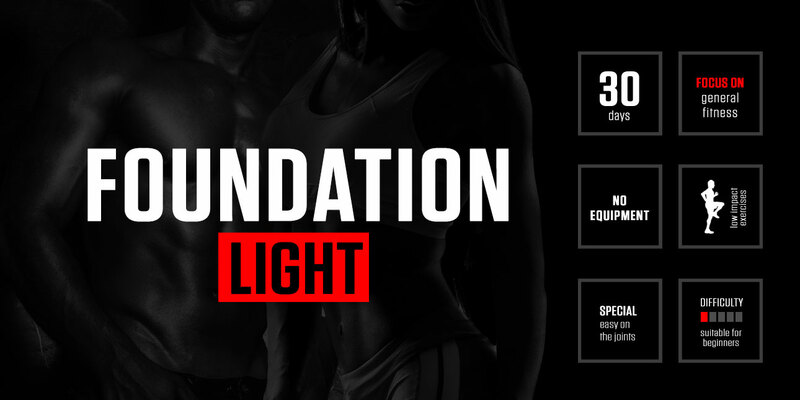 – DareBee Exercise-1 (Day 6): “Found Light” – Pretty easy workout all Core – Check! – Daily Dare (93/613) 40 Sit Punches – Another easy day working the Core – Check! – Baseline: Nice workout especially for the left shoulder. I am feeling much better about the prospects – Check! – Distance: Added 9.64 mi to my total on my way around the World. Rest: I will get 6.75 hours of sleep each night! Ciao! – Summary: Really good workout today. Got up and went right into it. I think that I need to do more of this approach. – DareBee Exercise-1 (Day 5): “Found Light” – Good series of balancing exercise included – Check! – Daily Dare (92/612) 60 Knee to Elbow Twists – Pretty easy exercise. Got me up and going – Check! – Baseline: I am really pushing the shoulder. Going into my 3rd straight week and I think it starting to bear fruit – Check! – Distance: Added 07.48 mi to my total on my way around the World. Rest: I will get 6.75 hours of sleep each night! Ciao! – Summary: Not a bad workout. Pretty light overall. Just knocked it out pretty early. – DareBee Exercise-1 (Day 4): “Found Light” – Mainly leg worked today. Pretty easy stuff tho – Check! – Daily Dare (91/611) 20 Windshield Wipers – Wasn’t ready to do it this morning, but it made me – great – Check! – Baseline: Left shoulder feels like it is healing some. I don’t want to jinx it, but it feels good – Check! – Distance: Added 9.73 mi to my total on my way around the World. Rest: I will get 6.75 hours of sleep each night! Ciao! – Summary: Good day workout. Good night of sleeping last night. Just need to finish up my cardio/steps. – DareBee Exercise-1 (Day 3): “Found Light” – Really easy day. No stress at all – Check! – Daily Dare (90/610) 2 Min Uneven Plank – Good start to the morning, getting the core engaged – Check! – Baseline: Working the shoulder; it is a bit painful along with the right foot – Check! – Distance: Added 10.47 mi to my total on my way around the World. Rest: I will get 6.75 hours of sleep each night! Ciao! – DareBee Exercise-1 (Day 2): “Found Light” – Too easy. Lots of squats and arm work – Check! – Daily Dare (89/609) 2 Min Uneven Plank – Pretty good start to the say. Arm feels strong – Check! – Baseline: Really pushing the shoulder rehab. A bit painful in the push, but I hope this is getting it done – Check! – Distance: Added 10.52 mi to my total on my way around the World. Rest: I will get 6.75 hours of sleep each night! Ciao! – Summary: Long day. Great to move on to a new DareBee workout. This might be too light for me tho. – DareBee Exercise-1 (Day 1): “Found Light” – Oh boy this is really really easy – Check! – Daily Dare (88/608) 40 Knee Crunches– I just love the Core – Check! – Baseline: Rehab work on shoulders are coming along. I am 12 days in and the shoulder is feeling strong – Check! – Distance: Added 8.42 mi to my total on my way around the World. Rest: I will get 6.75 hours of sleep each night! Ciao!